Baltimore, MD, August 2, 2016, Gail Deborah Marshall, RN, BSN, MBA, Nurse Case Manager at GDM & Associates, LLC, has been recognized by Elite American Nurses for dedication, achievements and leadership in medical-surgical nursing. Ms. Marshall’s passion for health care attracted her to the industry. She also had an opportunity to work in the emergency room at The Johns Hopkins Hospital. She was inspired by her father, Richard L. Marshall, to follow her goals. She believes that caring can make a difference, and her personal mantra is, “I can do this.” Ms. Marshall advises others aspiring to enter the profession to keep themselves educated in the field. Ms. Marshall has garnered more than four decades of experience in health care while gaining the respect of her patients and colleagues. 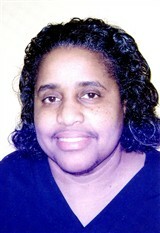 She is known for her expertise in training, geriatric and pediatric nursing, as well as her case management skills. In her role at GDM & Associates, LLC, she is responsible for monitoring 40 care providers and training employees. Ms. Marshall takes great pride in her work and feels it’s extremely important for her to inform her colleagues, family and friends that immunization throughout the life span can and does reduce chronic health diseases. 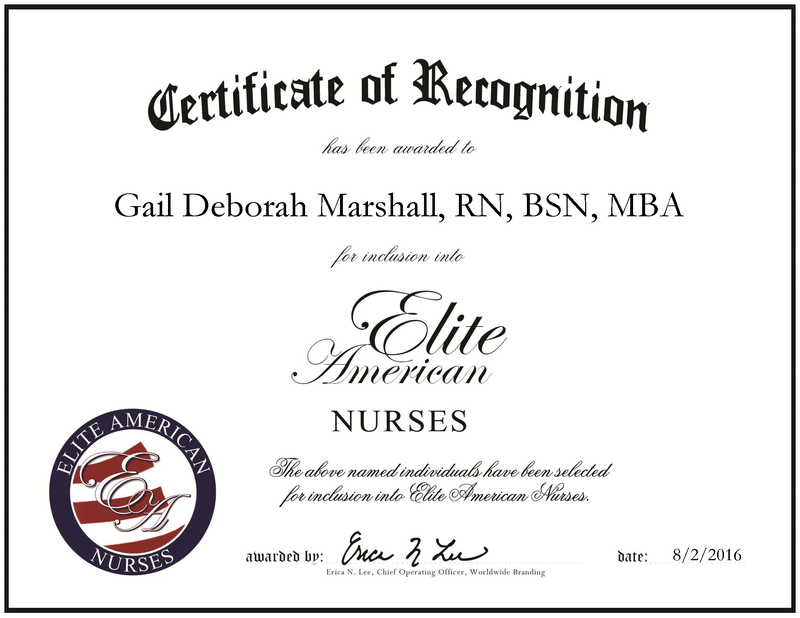 Gail Marshall was originally selected for inclusion in EliteAMERICAN Nurses in October 2014. We are proud to be featuring Ms. Marshall again in EliteAMERICAN Nurses for 2016. This entry was posted in Surgical Nursing and tagged chronic health diseases, emergency room, immunizations, patient care, training. Bookmark the permalink.